In this episode, Dan, Link, and guest Jeremiah Ion try to answer the question "WTF is up with DC Comics events?!?" More comics discussed include Batman #68, Young Justice #4, Dial H for Hero #1, Godzilla in Hell, and Murder Falcon. 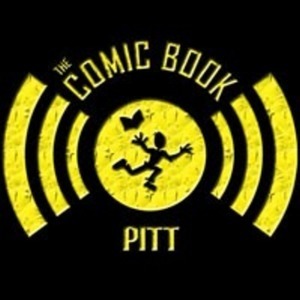 Episode 309: Talking the Talk: 3 Rivers Comicon, Resurrecting a Dead Comic Book, and MORE! Dan, Jared, and Shawn welcome guest Jon Engel to the Sorgatron Media studio. Jon, the general manager of New Dimension comics and one of the organizers of 3 Rivers Comicon, gives us a preview of the 2019 show. After that, the group discusses what favorite cancelled comic book they would choose to bring back to life. Dan and Link talk Super Bowl teasers and trailers, Avengers: Endgame, living in the 90's, Legion series cancellation, Y: The Last Man series on FX, various TV show talk, and The Promised Neverland anime.